Miscels d'Oro Gran Gourmet is an espresso blend made of 100 % Arabia coffee beans. 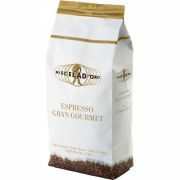 The coffees from Central and South America give the espresso softness and a fine balance of sweetness and acidity. 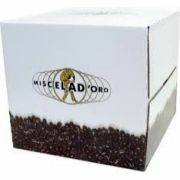 The coffee has an intense aroma which adds richness to the soft body. 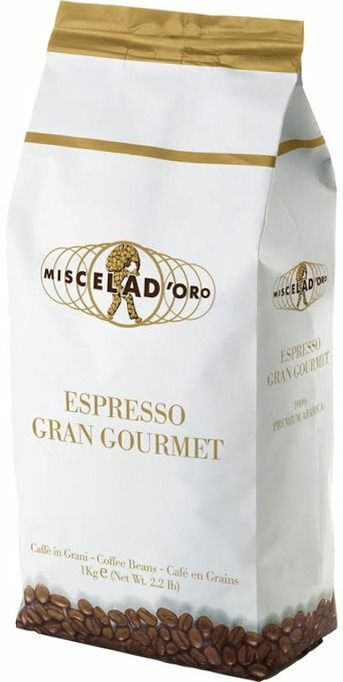 An excellent Italian coffee to be enjoyed when you want a cup of smooth espresso with a long aftertaste. The coffee also goes well in a cappuccino, where it gives a pleasant aroma without being too dominating. 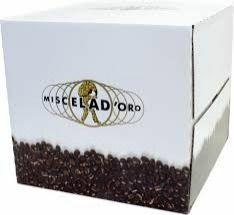 The Miscela d'Oro roastery is located in Messina, Sicily. The roastery started as a small scale family business in 1946. The Urbano family continues the business today already in the third generation. The goal of the roastery is to roast simple, elegant and high-quality coffees, while preserving the longstanding tradition.